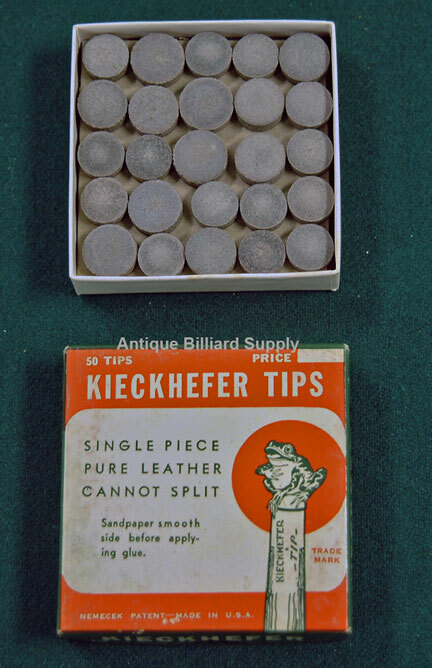 #10-13 Box of antique pool cue tips. Kieckhefer brand complete with original decorative packaging. Ready for use on pool cues, or as a display item with other vintage billiard memorabilia. Very nice condition as shown.